Bring a large pot of water to boil and add in basil leaves. Blanch them quickly for 10 seconds. Transfer into a bowl of cold water, Drain well and set aside. In a food processor or spice grinder, add in basil leaves and the rest of the ingredients. Blend until a smooth paste is achieved. Transfer into a jar or airtight container. 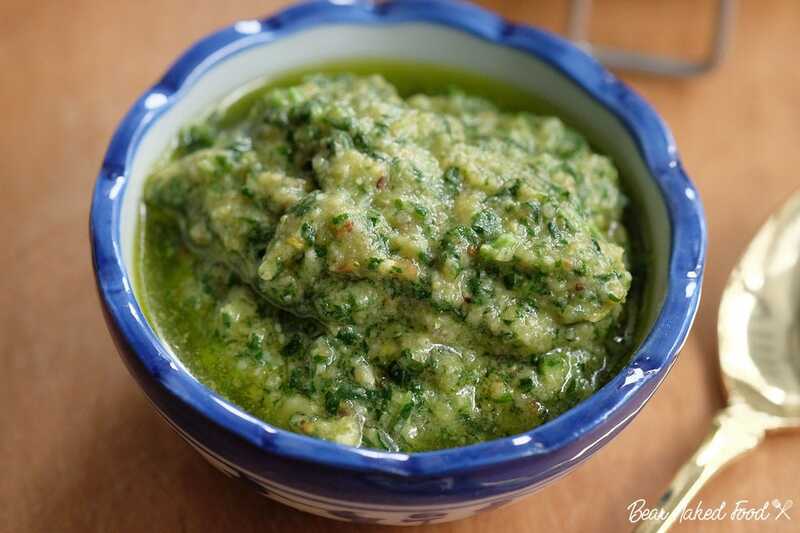 Pesto can be stored for up to 2 weeks.